A look at the motivations of Rebecca Murray, 23, and Matt Clowes, 28, as they prepare to make their marathon debuts in London. When the elite start line assembles as this year’s London marathon on April 22, Bedford & County’s Murray and Cardiff’s Clowes will join their illustrious ranks – this year headed by Daniel Wanjiru, Kenenisa Bekele, Mary Keitany and Tirunesh Dibaba – for the first time. 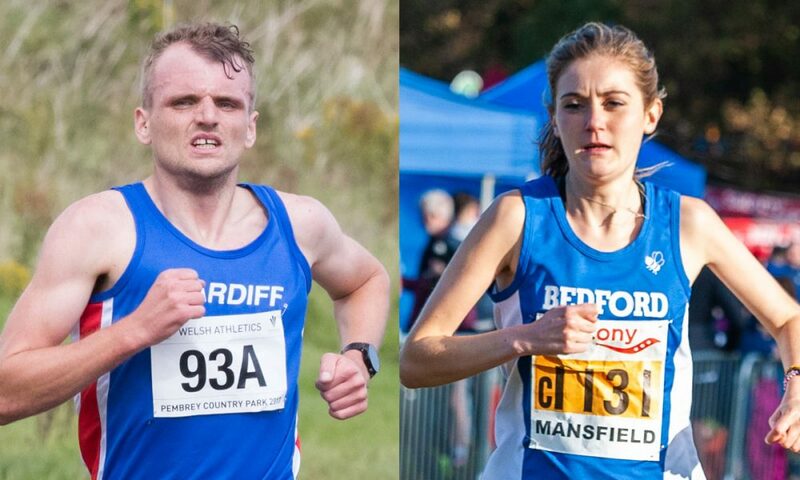 Murray and Clowes are both established runners on the domestic racing scene, boasting impressive personal bests across the distances up to the half marathon. So why choose now for the undoubtedly daunting prospect of taking on the full 26.2 miles? Great Britain has an impressive knack of producing athletes who have posted top class times on their marathon debuts, with the famous groundbreaking stars from the 1980s, 1990s and 2000s such as Steve Jones, Charlie Spedding, Ron Hill and Mike Gratton, Paula Radcliffe, Mara Yamauchi, Jo Pavey and Liz Nuttall (nee McColgan) – to name but a few. The women have been joined in the last decade by Charlotte Purdue, who recorded 2:30:04 in Frankfurt two years ago (now improved to 2:29:23), Sonia Samuels’ 2:30:56 in 2012 (now 2:28:04) and Lily Partridge’s 2:32:09 in Seville last year. 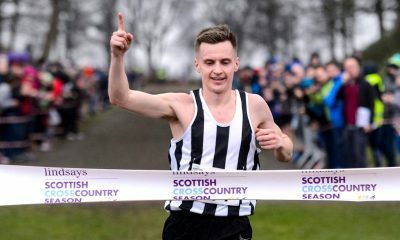 On the men’s side Callum Hawkins recorded a debut of 2:12:17 (now 2:10:17), Dewi Griffiths ran a fantastic 2:09:49 in Frankfurt last year, Jonny Mellor’s 2:16:52 in 2012 (since revised to 2:12:57), and Scott Overall’s 2:10:55 back in 2010, not to mention the leading Brit on this year’s line up, Mo Farah, whose 2:08:21 four years ago still fell short of the British record, Steve Jones’ 2:07:13 from 1985. Murray is coached by the British marathon record holder Paula Radcliffe’s former mentor, Alex Stanton, and, at just 23 years old, she is the youngest woman to toe the elite start line in London this year. 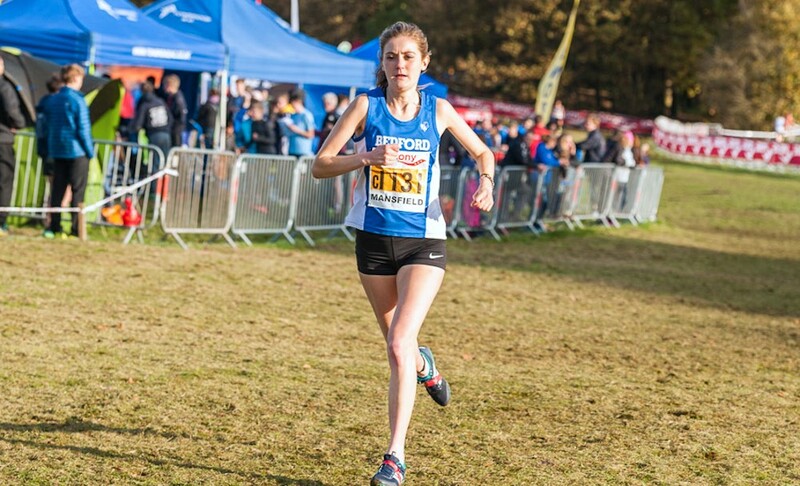 The 72:59 half marathon athlete can also count 16:09 and 33:19 5000m and 10k PBs to her name, together with a junior English national cross country title from 2015 to add to her credentials, and will join Partridge and Tracy Barlow in the British ranks in London next Sunday. Clowes has enjoyed prolific success over the 10k distance in particular – his 29:29 his best so far – but the 28-year-old has also posted a 13:58 5k (in 2014) and a 64:38 half marathon earlier this year. Now self-coached, the Cardiff ace will join British male athletes Farah, Mellor, Aaron Scott and Stephen Scullion in London for the first time. We talked to Murray and Clowes about their reasons for debuting in London, what pressures they feel running the marathon on home soil, and how their training has prepared them for the distance. Fast Running: Why London, and why now? Rebecca Murray: I’m looking forward to giving the marathon a good first go. London is such a well organised and prestigious event in the British racing calendar, along with the fact it’s close to home! Also having the crowds and the knowledge that my friends and family will be out there on the course makes it that much more appealing. I’ve always loved running on the roads, I guess the thinking is that I’m at an age where I can experiment with what works for me. I am certainly not ready to be labelled solely as a marathon runner but it has been a new challenge to work towards over winter. I’m not taking it lightly as it is a totally different kettle of fish to the races I usually do, but I have faith that the plan Alex and I have worked to will have me prepared. As for a target time, I have a pace to set out at but we shall see how that goes! 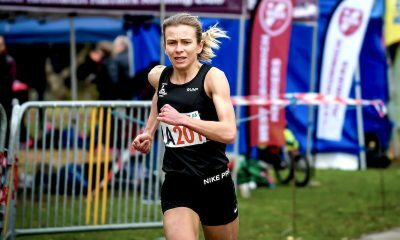 Matt Clowes: It firstly came up as a joke between me and the Mrs (mountain and fell running specialist Gina Paletta, also of Cardiff AC, who owns PBs of 17:01 and 77:08 for 5k and half marathon) over coffee. She bet me £100 that I couldn’t run a marathon under 2:15. Not that I was in desperate need of some cash but I can’t back down to a bet. Also, it was mainly down to pure boredom. I’m an athlete who doesn’t stay at a distance very long. I joke to my friends that I just want to complete my Power of 10 profile, so I guess it’s back down to the short sprints this summer! I’m really looking forward to London. I do thrive off crowds and atmosphere, so I thought it was the perfect fit. I remember running my first half marathon in Cardiff, where I paced some of the ladies, and you really do get a buzz off the crowds. FR: You’re both already established high-level athletes – does this place any extra pressure or expectation on you and your performance? RM: I guess the fact that so much build up leads to one day does make it more important than most other races I have done. Saying that I have enjoyed training for it and have already got the beginnings of a summer season planned post-London (providing my legs agree!) so I’m not really seeing it as the be all and end all. I don’t think there’s a huge amount of pressure on my performance, Alex and Rosemary have always prioritised enjoyment so provided I come back having had fun we will have achieved what we set out to. Being pretty young and having plenty of opportunities ahead to race this distance helps too! MC: I don’t like to put much pressure on racing. Athletes, coaches and race organisers that know me probably think I’m a little crazy on race day as I don’t take myself seriously and I just have a laugh. 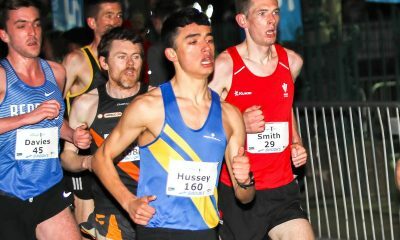 I train on my own a lot with some runs with Carwyn Jones, Cardiff AC and a neighbour, so it’s nice to be part of a community when you get to race on the roads. FR: Looking back on your racing successes so far, which stand out the most in terms of the sense of achievement you drew from them? RM: Running some good times in my fastest races (Murray won the Manchester half in 2015 when she ran her 72:59 PB) are certainly up there as moments where training has all come together. But if I’m honest I draw most confidence from feeling like I’ve battled in a race and competed well against more established athletes. 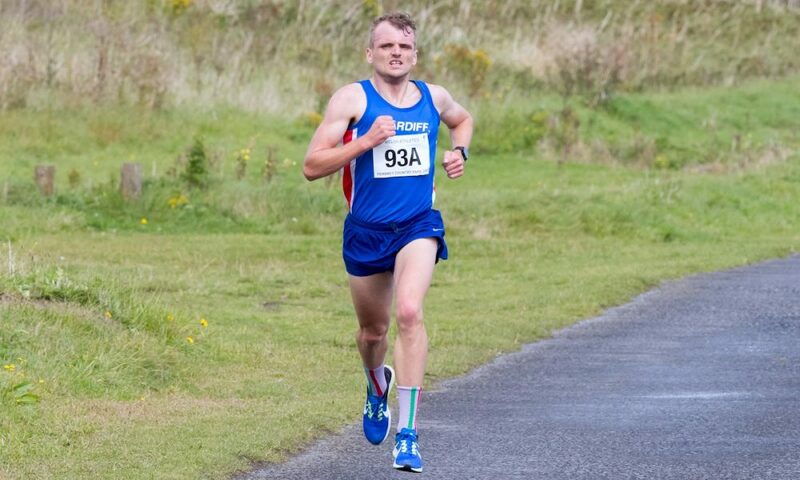 Some of my races over the cross country, such as at the Liverpool European trials or even winning the English national cross country championships in 2015 as a junior have pushed me forwards and given me most satisfaction. MC: I do loving racing 10k, but I would have to say running sub-4 minutes was the highlight. I ran for a very small college in the States. FR: What do you do for work, and how do you balance its demands with your training? RM: When I finished my degree at Birmingham University in 2016 I moved to Twickenham, where I work part-time around training. I am based very close to St Mary’s University who have a really good set up with their Endurance Performance and Coaching Centre. I am lucky that there’s a lot of people to run with there. I do most of my training with Sarah Astin, my housemate Sam, and the girls in Craig Winrow’s group. This makes a massive difference to my motivation, as they are a really upbeat and supportive bunch and we can always have a laugh even when the going gets tough. Danny at Forte Sports Management has also been really helpful with finding me races that fit around any other commitments I may have. MC: I’ve just finished my Masters in Exercise Physiology in Cardiff. I also run my own Sports Massage and Coaching business (Functional Focus). I love coaching too, and I’ve started to build a nice group in Cardiff. I generally train around my client and what works. FR: Tell us about your coaching set up? RM: Alex Stanton is an exceptional coach who, along with his wife Rosemary, has a huge wealth of experience in the running world. Alex has coached me since I turned up at Bedford AC as a 13-year-old (so a good 10 years now!) and I think one of the most admirable qualities he has is that he truly enjoys seeing all of his athletes succeed in their goals (running or otherwise), whatever age or ability they may be. Himself and Rosemary still religiously coach the girls’ group at Bedford, and, while we no longer see each other on a weekly basis, he is great at being around to support and guide me through the highs and lows of athletics. One of the main reasons Alex makes such a great coach is because he sees us all as people before he sees us as athletes. As long as you are happy, so are he and Rosemary, and without any pressures, a lot of his athletes thrive in running alongside studies or work. This often means for me that I have free reign to join in sessions with the group or with Sarah as much as possible to make sure it remains fun, and we work out the other details around that. Both Alex and Rosemary are also incredibly reassuring and it only takes a few minutes on the phone for them to put any problems into perspective! MC: I am currently self-coached. Chris Jones has given me some guidance in the past with some ideas on sessions and so on. I’ve trained for many years, and I’ve tried every training modality in the book, from fast runs, slows runs, low mileage and high mileage, so I feel as a coach myself I have a nice mix of what works for me. FR: Could you both outline a typical week’s marathon training in the build-up to London? RM: The group at Bedford have been amazing and so supportive from when I joined as a youngster, and I’ve been very lucky that the boys have let me dip into their sessions on occasion too! My runs can vary massively in pace because I run to feel, so they can be anywhere from 6:30’s to 8-minute mile pace. My sessions also vary a lot, but we often do things along the lines of two sets of (2km, 5x400m) then one set of (1km, 5x200m). I don’t really time reps, so I guess they vary a fair bit too! MC: Along with my running, I swing around a kettlebell twice a week, as well as doing some injury prevention work.